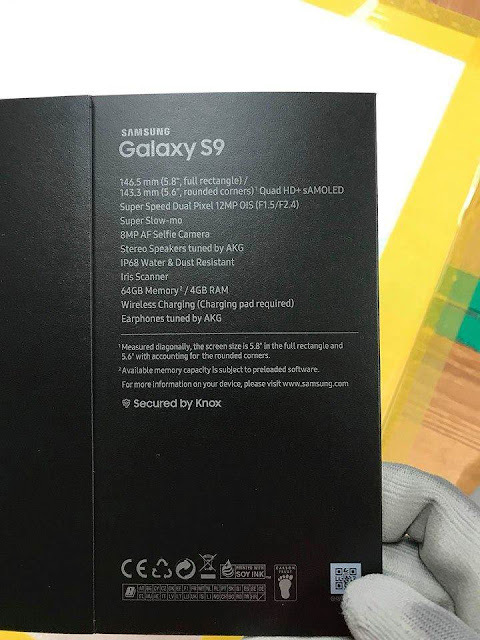 Galaxy S9 Retail Box Leaked! ~ Android Forever! Galaxy S9 Retail Box Leaked! Take a look at this pic leaked on Reddit which seems to show some key specs of this drool-worthy new device!